Caution! You're about to enter the pseudoscience-free zone. "I stopped eating wheat products about six months ago, and wheat's in everything. Just check out your cupboard and read the ingredients. Now almost immediately after dumping the wheat, my cholesterol dropped, and I feel stronger, more manly." Like Popeye after eating a can of spinach, O'Reilly's machismo has returned. Bill's got his groove back, and his heart is healthier, too. But are his claims true? What does science say about gluten and gluten-free diets? Darshak Sanghavi, a pediatric cardiologist, thoroughly trawled the medical literature in an excellent article for Slate. He explains the three different classes of people who are affected by gluten: First, about 1% of the world's population has celiac disease, a serious autoimmune disorder that results from gluten fragments binding to certain kinds of cell surface molecules. Second, wheat allergy -- another autoimmune disorder that is quite distinct from celiac -- affects even fewer people, perhaps less than 0.3%. Finally, there is the third group: "Gluten intolerant." Some people simply feel better if they cut gluten out of their diets. But what proportion of the population does this apply to? Nobody knows because the diagnosis is based upon subjective patient experiences such as "mental fogginess" and bloating. There simply isn't a lot of objective data on the condition. What about O'Reilly's claim that a gluten-free diet lowered his cholesterol? As O'Reilly correctly pointed out, wheat is in a lot of different foods -- including unhealthy ones like donuts and pizza. By cutting gluten out of his diet, it is likely O'Reilly also cut a lot of junk food out of his diet, as well, and that probably explains why his cholesterol is lower. O'Reilly concluded: "This gluten-free business is taking off... Trust me, in five years, in the USA, gluten-free is going to be everywhere." How true. The reality of a healthy lifestyle is that it's hard work. It requires discipline, moderation, and the acceptance that there is no such thing as a quick fix. Basically, it's everything Americans don't really like very much. 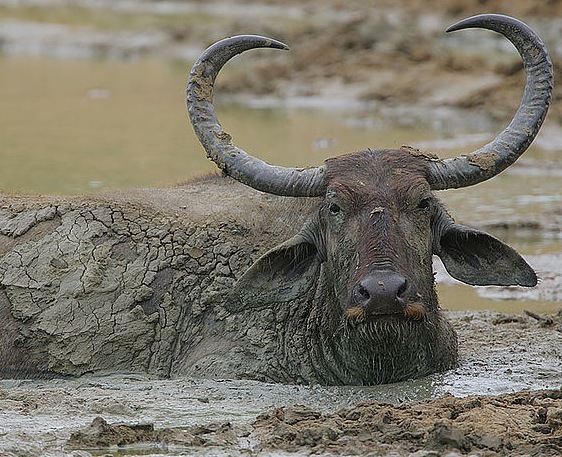 So, the bottom line is this: If you don't want to look like a water buffalo, then don't eat like one. And that's the no-spin truth.